Norway certainly had no up-to-date fleet of aircraft in 1940. No real bombers or heavy fighters, but mostly trainers or WW I – style biplanes armed with 6,5 or 7,92 m.m machineguns, and a limited stock of small bombs. A few modern aircraft, like the Italian purchased ”Klippfiskbomber” Caprioni and some Hawks had been purchased - but, with a few exceptions, too late, and they never came operational in time. The Germans later handed these over to Finland. When the Germans launched their attack on Norway, the Norwegian air force consisted of two separate units – the Royal Norwegian Air Force and the Royal Norwegian Naval Air Service. Each was respectively an integral part of the Army and the Navy, and under their direct control. Both forces were modest in size, and the existing aerodromes were few and mainly situated in coastal areas. The pilots and the ground organisation may have lacked experience, especially in tactics, but certainly did their best with the weapons available. No aircraft was properly equipped with offensive equipment such as bombsights, and the aircraft were usually neither properly armed, nor suitable in a fighter role. The Norwegian army aircraft did, however, notably, manage to down about 10 German aircraft, He 111´s and Me 110´s, all but four during the Invasion on the 9th of April 1940, and most by Gladiators which soon were lost. The Norwegian pilots actually not encounter German fighter aeroplanes in any larger scale, except when attacked, after the first days of April. This was a wise manoeuvre, since the Norwegian managed to continue using aircraft during the whole German campaign. The Navy He 115 and MF 11 seaplanes rendered valuable service during the whole campaign in Southern Norway. Night and day, operating from the fjords and from frozen lakes they bombed and harassed German transports and positions on the West Coast. 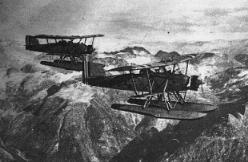 Together with the Army Fokker C-V´s and Tiger Moths, they carried out communication flights, serving as links between the isolated groups of the fighting forces in different fjords and valleys. 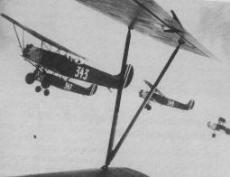 At the conclusion of the fighting in South Norway, Army staff officers were flown to the North of Norway in the naval aircraft, which were still able to make the long flight. Naval seaplanes too damaged to do this flight flew over to Scotland. Some of these, which were repaired with British assistance, were again flown across to Northern Norway and continued the struggle there. * In Northern Norway the Naval Heinkel He 115 and M.F 11 seaplanes, and the Army Fokkers and Tiger Moths put up an almost continuous service for reconnaissance and communication purposes. The three first mentioned types also rendered remarkably good service by bombing and machine gunning German military objectives – transports, troop concentrations, airfields, machine-gun and artillery positions etc. The army and navy airforce were used for the first time in close operations co-ordinated between ground forces and aircraft during the battles of Narvik, and performed quite good concerning the situation. Anyway, the Norwegian airforces continued operating their aircraft mostly for recce, - bombing, cargo and courier missions. The last one was of vital importance, since Norway had lost all her capital cities during the first day of war, and members of the General staff and the Government, as well as allied VIP’s needed the continuos use of aircraft badly when moving in rural Norway. The Battle between Norway’s two obsolete airforces, and the 1200 aircraft-strong “Luftwaffe”, was like WW I pilots and aircraft meeting WW II´s reality. After the withdrawal of the Allied forces, some of the seaplanes were flown to the Shetlands. *Note: Most Aircraft stationed at Kjeller were not ready by the German attack. Kjeller is the national Aircraft Factory, and was quickly put out of order by German warplanes. * Gloster Gladiator I & II (Biplane) It had 4 x 0.303 Browning MG´s. Speed about 220 kts. Wingspan: 9,83 m, weight 1459 kg. 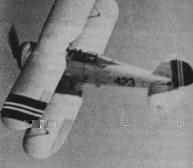 Fokker CVD & E (Biplane): Had a crew of 2, 1 x 7,92 MG fixed forward, 1 rear MG. Speed: 120 kts, wingspan 12,5 m, weight 1250 kg. Tiger Moth (Biplane) (D.H. 82 A): Weapons: 2 x 7,92 MG´s. 109 kts, wingspan 8,95 m, weight 829 kg. Bjørn Jervås is one of the major contributors to this site.